When I hear about the need to push gender diversity in tech and improve gender disparity in the industry, it takes me a second to appreciate the full reality of the situation. When the industry’s playing field is devised and maintained mostly by men, it leaves women at an inherent disadvantage. The bias is hardwired into the very building blocks of the system, making it hard for men, who enjoy the upside of that same bias, to see the problem. It’s not a conspiracy, but an error on the part of the architects who don’t realize that diversity has to be invited to the room from the very beginning. Otherwise, the whole platform will be built on elements that estrange itself from diversity without even realizing it. Let’s take wearables as an example. Butkovic and her co-founder, Michelle Hua, launched WoW last March in order to create and foster a community of women in tech, particularly in emerging industries that include fashion tech, IoT, and VR/AR/MR. In the case of wearables, she pointed out the mistake the industry makes when there are only men developing a range of products that are unintentionally tailored to alienate half of their potential customers. “They are clunky, oversized and just not visually appealing for women,” Butkovic says, who also co-founded Kisha, the world’s first smart umbrella, which offers a collection that caters particularly well to women. Think of the current growing pains virtual, augmented and mixed reality are experiencing on their way to consumer acceptance. Everyone’s watching the performance metrics that the hardware players are reporting back to the rest of the industry, praying that they at least get close to the optimistic forecasts the pundits keep pushing out. How much of the disconnection between the predictions of pundits and the reality of lagging consumer adoption has been because of a failure to bring a diverse group of voices to the table during the conceptual, design, research and marketing phases? It’s not simply a fight for equality but a reality that the industry should acknowledge to improve consumer adoption. 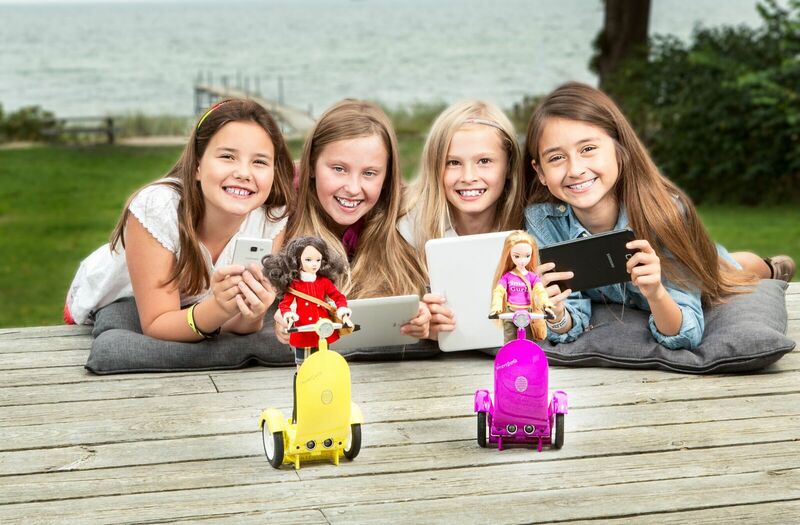 Stories like the AR-powered toy company SmartGurlz, a startup launched by an American in Denmark to help her daughter improve her performance in subjects like math, are an example of the way forward. The product was designed to engage and encourage young girls to learn to code by making the process fun through the magic of combining augmented reality and robotics with good storytelling. The Siggy Robots hit two birds with one stone. One, it ensures that the AR and consumer robotics industries don’t initially ignore and alienate the interest of female users. Second, it introduces a more natural approach to introducing girls to STEM subjects (science, technology, engineering and mathematics), so that the industry can encourage increased participation by the next generation of women working in tech. When it comes to catering to girls and women in equal measure as consumers, it’s only rational to ensure that women are also placed and positioned in equal measure in the industry’s ranks. It’s not optional but a hard necessity that needs to have been addressed yesterday and will prove increasingly vital to the long-term health of industries that can’t afford to be ignored by half the population.